Behavioral psychology derives from the assumption that everything humans learn is through interaction with their environments. This form of psychology has always had an influencing role in business, especially when it comes to marketing. Consumer and behavioral psychology has helped provide valuable insights into the reasons why customers make the decisions they do. Recently, there has been an increased interest in bringing behavioral psychologists into companies. Hence, the rise of the Chief Behavioral Officer. So, what is a Chief Behavioral Officer (CBO)? CBOs can help identify the business goals and challenges that can be reached and resolved through the application of behavioral science. With their extensive knowledge, the CBO will close the gap between scientific and business communities, bringing psychological principles to business and marketing strategies. Why is a Chief Behavioral Officer beneficial to companies? In the end, aren’t we all just searching for answers? We’ve been conditioned since infancy to question why. From the days of probing anyone who will listen about why things are the way they are, to the years of education where having a sense of curiosity was ingrained. Now, throughout adulthood, there is a constant search to understand how our business decisions will affect the future. How will our target audience respond to this advertisement? Can we design our webshop better to optimize conversions? Where should we distribute our message? Well, this is exactly where a CBO comes into the picture. They will be the go-to person for all things behavior. Their role is a healthy balance between behavioral and data science, with a strong tendency for taking a crossover approach. Have you ever read the book Influence by Robert Cialdini? If not, I can heartily recommend it. This book covers the six “Weapons of Influence,” which are the psychological responses that individuals experience in given situations (see Figure 1). Cialdini does an excellent job of bringing the reader through countless scientific studies, their findings, and ways in which the principles apply to daily life. This book (along with others like Thinking, Fast and Slow and Nudge: Improving Decisions about Health, Wealth, and Happiness) has been making waves in the marketing field for years. It’s inspiring marketers and other executives to go back to school for MSc and Ph.D. programs to get specialized in behavioral psychology and economic theories. With this new wave of qualification, the supply side of CBOs is meeting the increasing demand. In recent years, there has been a heightened focus on measuring behavior rather than just attitudes and intention. While attitudes have been cited to lead to intentions, the gap between intentions and actual behavior is daunting (and honestly, every researcher’s primary limitation). To close this gap, principles from behavioral economics are being used to understand consumers behaviors in response to marketing. By focusing on behavioral change, rather than attitude change, companies can formulate more effective campaigns. A CBO will apply their wealth of knowledge to business objectives. They will be able to use psychological and economic principles that are backed by empirical findings to formulate design, copy, and placement that is optimized to your desired business goals. Plus, they will be able to provide you with the reasons why it is effective. No more gut feelings leading your company into the unknown. A CBO’s role is also heavily influenced by data science. This relationship is logical, as data has become the centerpiece of any business. It no longer matters if your product is physical based or in the cloud, customer data is readily accessible. The sheer amount of data that is collected through a company’s online presence is spectacular. Because of the capabilities that data provides, CBOs and their teams can develop experiments to test certain theories and (almost) instantaneously see behavioral results. Again, no more fuss with behavioral intentions and attitudes, but direct results - oh, the luxury! These experiments, which are often based on a grounded theory approach, bring the world of academia to practice before your eyes. The movement towards a theoretical, hypothesis-based approach to data is already upon us. In Smallwood’s Resisting the Siren Call of Popular Digital Media Measures, he calls for data literate and vigilant marketing analysts to use a grounded approach to their data strategy. 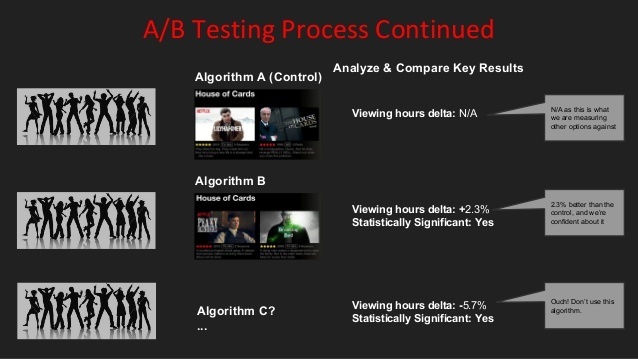 Netflix is a big player when it comes to hypothesis-based decisions that are tested with data. Every implemented feature starts with a hypothesis that is released and tested directly by users using their service (see Figure 2). From colors and icons to reviews and titles, everything that you find on Netflix has been tested and optimized for its users. Not to mention their pricing scheme that is built based on the Goldilocks effect. Even though behavioral psychology has been around for decades, we are still at the outset of its potential. Especially with the proliferation of technology and data resources, the coming years will give birth to some cutting-edge capabilities for marketers and business professionals. 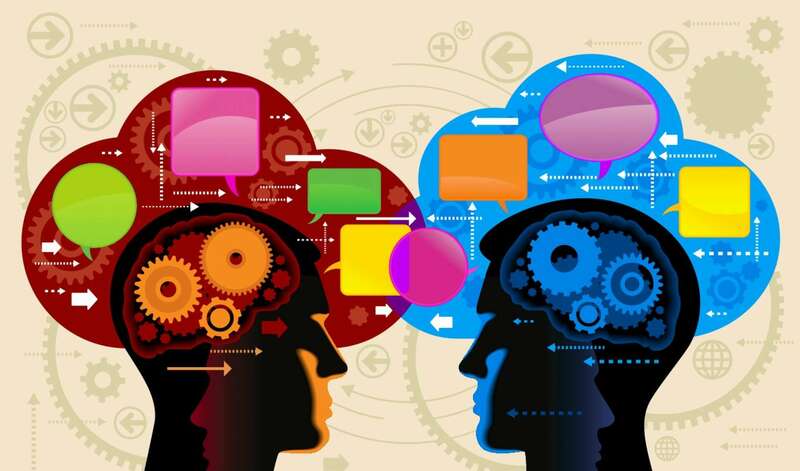 Not only the growth of data and behavioral science but also neuromarketing is on the rise. Virtually every company has either directly or indirectly used the principles of neuromarketing (think eye tracking, package design, colors, pricing, etc.). And as the potential for this technology grows, so do the insights they provide. A future in which all of these elements come together is not far. Being prepared and quick to adapt to these changes will ensure competitive advantage. If your company is still strides away from considering hiring a CBO, what’s stopping you from taking on the role? With the number of resources out there, there is more than enough opportunity to employ those skills learned in university or practice to take a behavior-based approach. It all starts with educating yourself on the latest principles and an upgrade to your marketing strategy to set things in motion. An in-depth research review of marketing scarcity with tips and takeaways for (eCommerce) marketing managers looking to have more persuasive marketing.